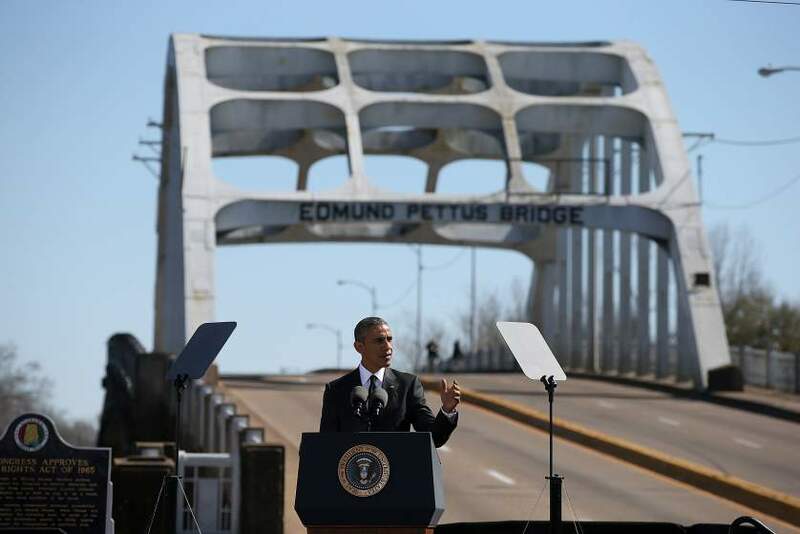 With the infamous Edmund Pettus bridge as back-drop, President Obama gives his well-regarded speech. President Obama spoke before thousands on Saturday during a commemorative ceremony for the 50th anniversary of the events of “Bloody Sunday” when over 600 non-violent protesters were attacked by Alabama state troopers as they attempted to march from Selma to Montgomery for voting rights. Here is the full text of Saturday’s speech, as prepared for delivery.